The Kenya Medical Practitioners and Dentists Board (KMPDB) has picked Dr. Eva Njenga to replace Prof. George Magoha as chairperson following his appointment as Education minister. Dr Njenga has a long CV and brings to the board a wealth of more than 18 years of medical practice. She holds a MMed from the University of Nairobi and becomes KMPDB’s first female chair. She has formerly worked at Kenyatta National Hospital, Nakuru Provincial Hospital and Joslin Diabetes Centre in USA. Currently, she practises privately as an endocrinologist, a speciality that deals with diagnosing and treating hormone imbalances in the body. The common diseases and disorders that endocrinologists deal with include diabetes mellitus and thyroid disorders. Dr Eva also serves as a World Health Organisation expert in essential medicine committee since 2013. 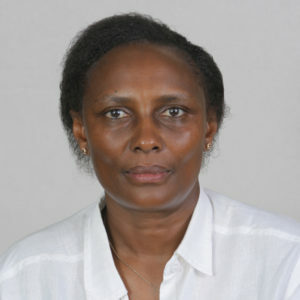 She is a founder member and director of Kenya Diabetes Management and Information Centre, Kenya Diabetes Study Group and is lead doctor at the Diabetes and Endocrinology Centre.